Opaque ruby-black, the 2015 Cabernet Sauvignon has aromas of black currant, blackberry jam, plum, cedar, dried tobacco leaves, rose petal, vanilla, clove, and cinnamon. Full-bodied and rich, with bold black fruits that explode across the palate. The fruit maintains a juicy quality with the refreshing acidity. 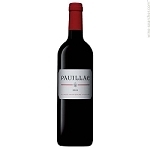 The tannins maintain their grip well into the finish which is layered with toasty oak notes. This is a great buy for those that crave creamy, ripe wines. Aromas of black-cherry syrup, pie crust, salted caramel, snickerdoodle, brown sugar and maple syrup prove intoxicating. The palate is soft, thick and saucy, with more dark fruit flavors alongside vanilla, star anise and roasted cocoa. Editors’ Choice.